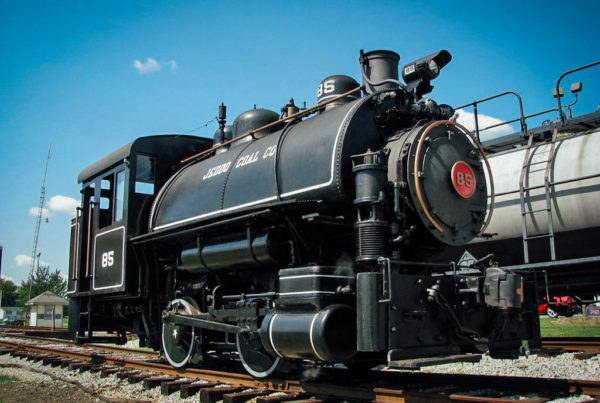 FORT WAYNE, INDIANA – World-famous steam locomotive No. 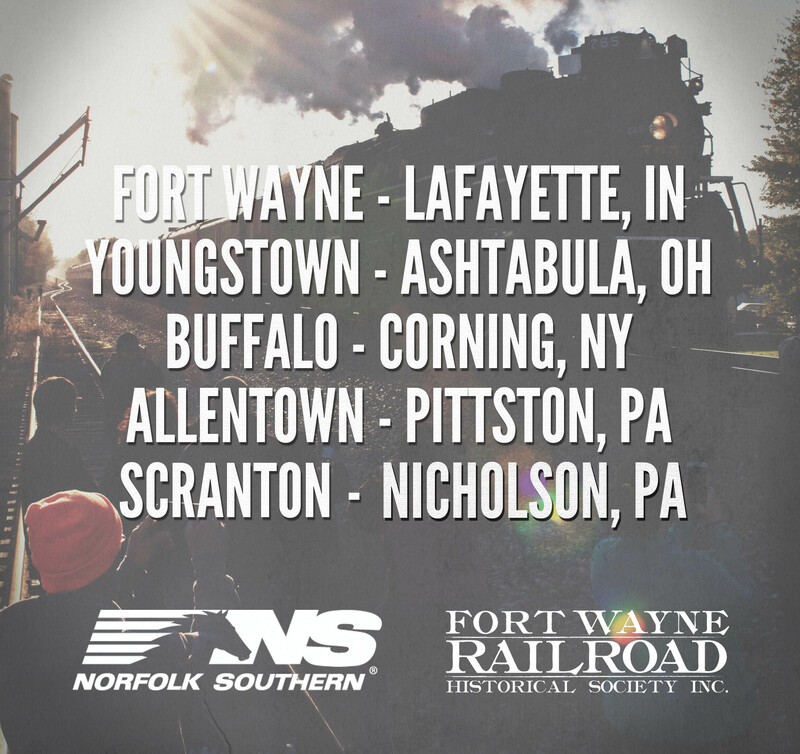 765 and the Fort Wayne Railroad Historical Society will once again partner with Norfolk Southern Corporation to operate a series of special passenger excursions in Indiana, Ohio, Pennsylvania, and New York as part of Norfolk Southern’s 21st Century Steam Program. No. 765 will operate several round-trip excursions originating of Fort Wayne, Indiana; Youngstown, Ohio; Buffalo, New York; as well as Allentown and Scranton, Pennsylvania. Unless otherwise noted, the 765 will operate one round-trip per day. There are no no overnight trips. Additional information including times, ticket prices, accommodations, boarding sites, and other details about each trip will be available on the event calendar. All excursions are round-trips operated once per day between the departure and arrival cities unless otherwise noted. Tickets for the excursions will be available for purchase online at fortwaynerailroad.org and over the phone by calling 1-888-718-4253 this summer. Norfolk Southern employees can arrange for tickets through the company portal. Society members will receive information and advance ordering instructions in the mail. “We are thrilled to team up with Norfolk Southern again to offer people unique and exciting opportunities to enjoy the 765,” said Bill Otter, Society president. No. 765 will visit Buffalo in its first trips there since 1985 and operate out of the Allentown region for first time since 1988. For the locomotive’s first visit to Scranton, home of the Steamtown National Historic Site, it will operate to commemorate the 100th Anniversary of the Nicholson Viaduct. “The people in these areas have been asking for the return of No. 765 for over 20 years. 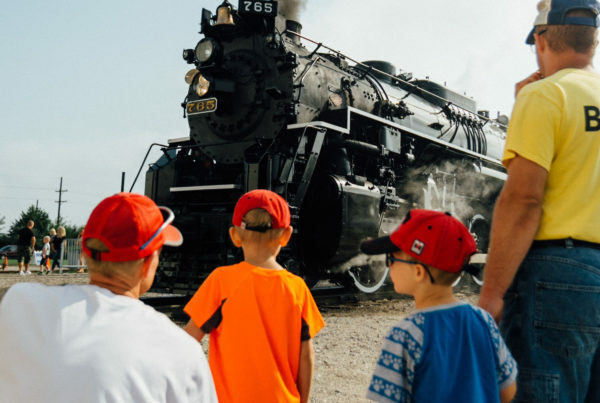 Many of the locomotive’s fans now have families of their own and they’ll get to pass on these great experiences to a new generation,” explained Kelly Lynch, Communications Director for the Society. As of this writing, additional operations with the 765 in 2015 are also being explored. Questions about these operations can be answered by clicking here. Since 2012, No. 765 has lead the 21st Century Steam program with great success, operating sold out trips on numerous occasions throughout the Midwest. The Society’s first public trip out of Fort Wayne in over 20 years sold out less than 2 hours. 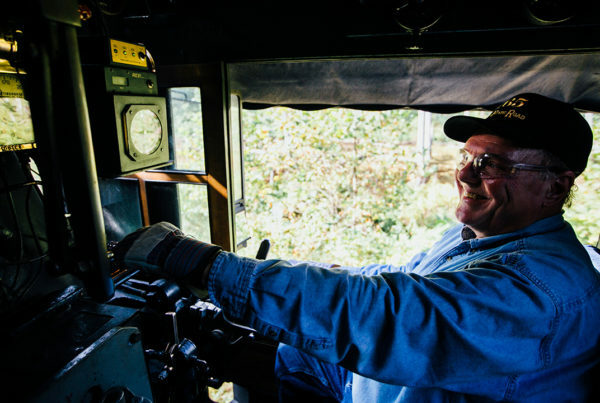 For each trip, passengers regularly travel from all 50 states and around the world to experience the historic train. The success of the Society and the popularity of railroad tourism has propelled the organization into the center of the Fort Wayne Riverfront master plan where a proposed development named Headwaters Junction will feature No. 765. As part of Phase 1 of the riverfront plan, Headwaters Junction will feature a recreated railroad roundhouse, interpretive and events facility, and annual operations and programming. The Society is currently exploring a feasibility study for the project with the City of Fort Wayne and private donors. New developments regarding Headwaters Junction will be announced in the coming weeks. Norfolk Southern’s partnership also includes the Virginia Museum of Transportation (VMT). 2015 also heralds the return of another historic steam locomotive to operation: Norfolk & Western J-Class No. 611. Originally built in 1950, the art-deco styled locomotive has undergone a total restoration to service following a million dollar capital campaign. No. 611 will operate trips throughout the Southeastern region in a capacity similar to No. 765. Originally built in 1944 for the Nickel Plate Road, No. 765 was retired in 1958 and put on display in Lawton Park to commemorate the elevation of the railroad through downtown. In 1974, the locomotive was removed from the park and by 1979 was restored to operating condition. The initial rehabilitation effort was the first all-volunteer effort in the world to successfully restore and operate a mainline steam locomotive. Since then, No. 765 has operated in excursion and public exhibition service as an ambassador for the City of Fort Wayne and the railroad industry at large. The FWRHS boasts a membership of just under 1000 supporters and 100 full and part time volunteers from around the country.